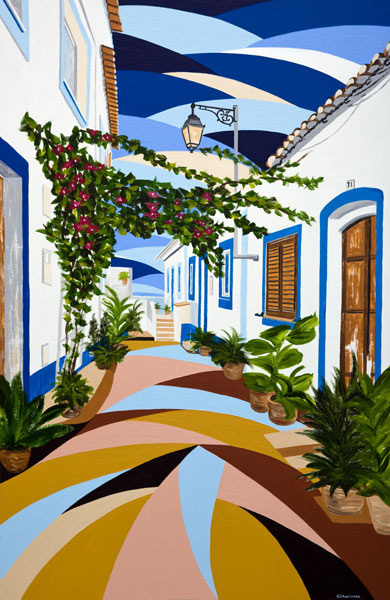 “This painting came from a request for a client who loved one of my recent paintings Hidden Algarve and asked me if I could paint a similar piece for them to remind them of their holiday in Ferragudo. I love working with clients as it gives me a chance to explore what they would like and then reproduce that for them. This was a delightful one to paint and will be hanging in a house in Canada to remind a wonderful couple of warm sunny days and strolls around this pretty little village."